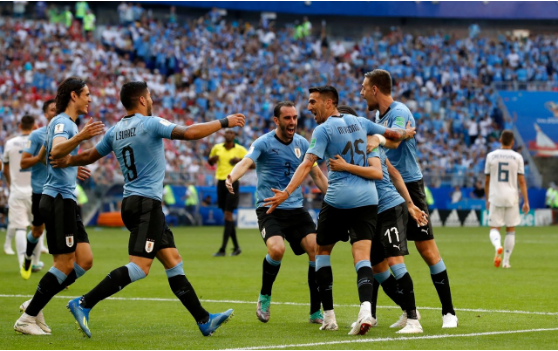 Half-time Uruguay 2 Russia 0 Fifa World Cup 2018. The half-time shriek goes, with Uruguay two goals and a man to the great. That second Uruguay goal has been given as a Cheryshev OG by chance. The same Cheryshev who has now been substituted. Not an incredible day for the chap. Half-Time. Uruguay's a significant portion of the distance. Luis Suarez opened the scoring before an avoided shot from Laxalt expanded their lead at the 30-minute check. To exacerbate the situation for Russia, Smolnikov is sent off after getting a second yellow card. Laxalt beats the defender within and makes a quick summary the left. The Russian slides and receives the wingback from behind. The ref distributes his second yellow card of the day for the ignorant test, and he is off. The red card constrained Russia to expel their best-attacking player Cheryshev. Presently they've all to do in the second half to attempt and recapture the best spot in Group A.